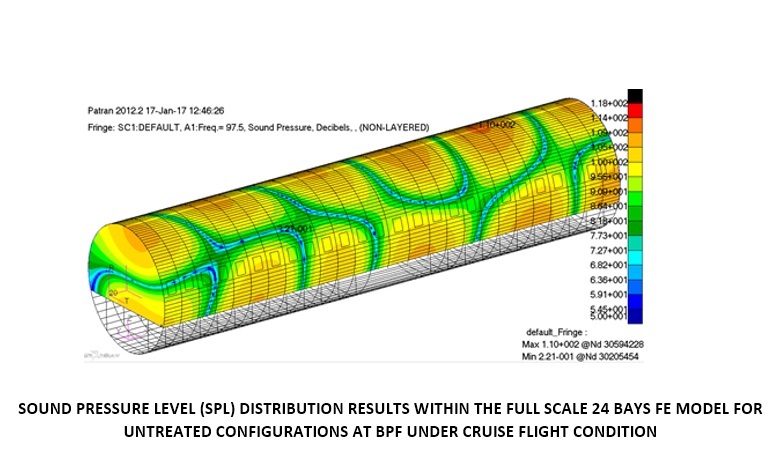 Starting from results obtained within SFIDA Project, the SCAVIR (Advanced Configurations Studies for an Innovative Regional Aircraft) activities were still aimed to improve the comfort level into the Regional aircraft cabin through the control of the propeller tonal noise and related vibrations generated by the propeller blades rotation. 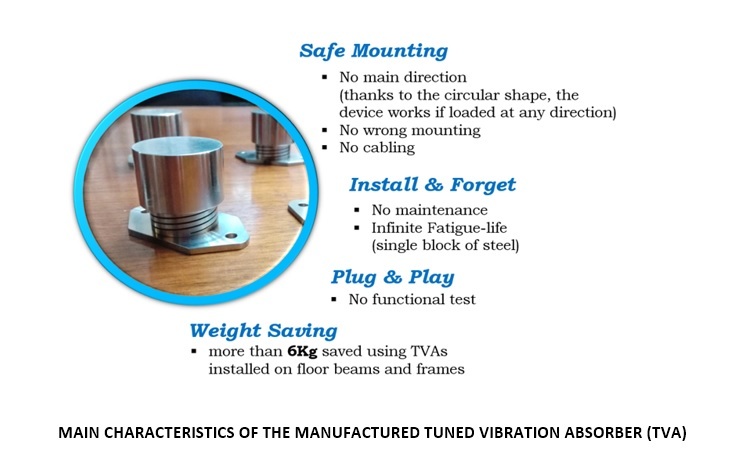 For these activities have been investigated Innovative passive and active hybrid noise, and vibration systems. 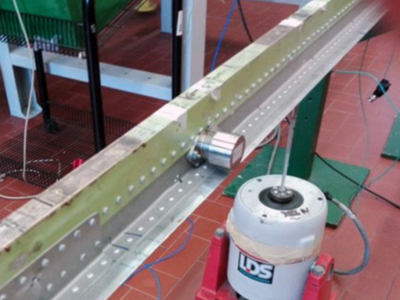 • Numerical assessment of the effectiveness given by the use of the passive devices (TVAs) installed within the fuselage of the NGTP (New Generation TurboProp aircraft). 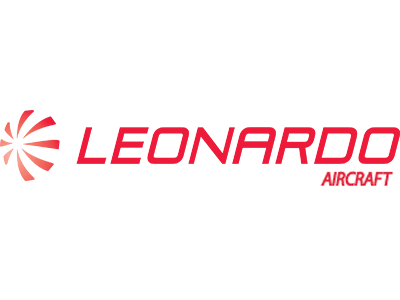 NOVOTECH carried out numerically the coupled Fluid-Structure interaction behaviour between the air volume in fuselage and its airframe. 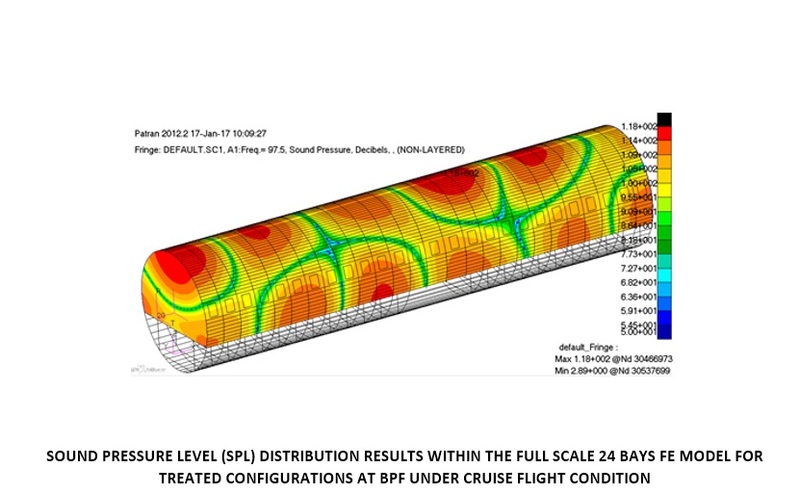 For the simulations, were used the full scale 24 bays FE model representative of the whole NGTP aircraft. 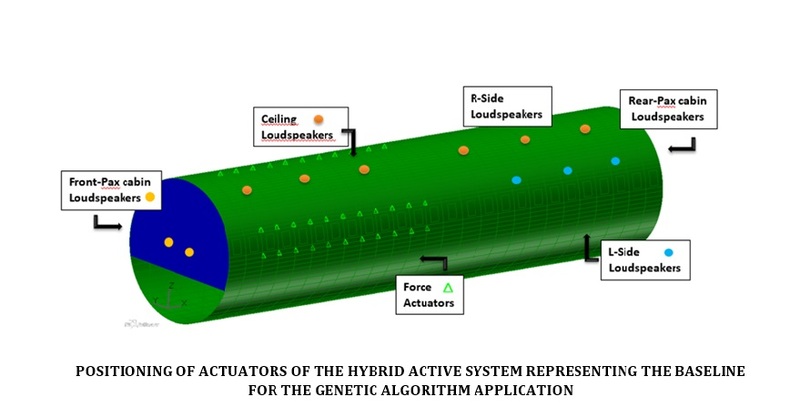 • In addition to the passive device that acts on the 1th BPF, NOVOTECH has characterized an innovative Hybrid Active device based on the mutual interaction between Loudspeakers, placed within the fuselage and Force Actuators installed on the aircraft frames. 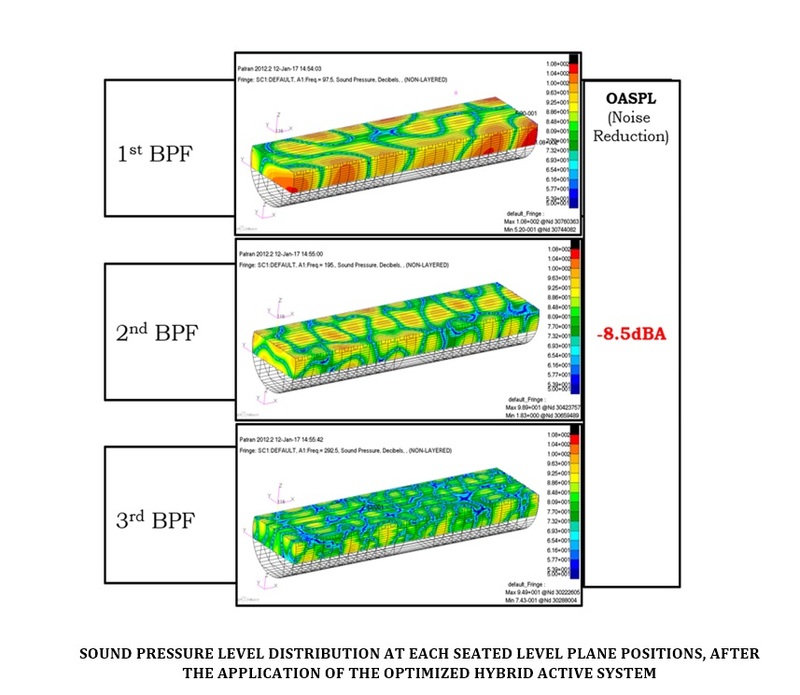 • In addition to the activities aimed to control the noise and vibrations in fuselage, NOVOTECH has also characterized the effect of the noise produced by the Turbulent Boundary Layers on the sound pressure level within the fuselage.